Should You Lose Weight Prior to Pregnancy? 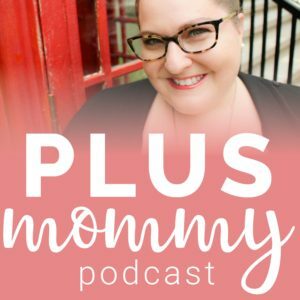 I asked Hilary Kinavey, MS, LPC and Dana Sturtevant, MS, RD of Be Nourished to write a gust post addressing a topic that comes up all of the time on the Plus Mommy Facebook page – Should you lose wight prior to pregnancy? I’m delighted they wanted to share their wisdom. You are planning to be the healthiest host you can be for your future baby. Recommendations about what you should do to accomplish this are everywhere, and there is one that can really raise anxiety: Lose weight first. Thoughts about weight are unavoidable when becoming pregnant; it’s part of the whole deal! Maybe you’ve heard comments or even recommendations from loved ones or health care providers about gaining as little as possible, or none at all, depending on your current weight. The real truth is this: planning to get pregnant in a plus-sized body could be treated the same as any other pregnancy, however, in this weight-focused world, it is often not so equitable. We all too often assume risk factors based on size, instead of approaching all people through a weight-neutral, health-promoting lens. Short term dieting can have negative results for our physical health and our emotional wellness. Weight loss efforts tend to follow a predictable cycle that starts with high hopes and ends in self- blame. Dieting and weight loss efforts lead to a diminished relationship with yourself. Why is this? We rarely blame the diets when they don’t work; we usually blame ourselves. Dieting whittles away our sense of competence, our love for ourselves, and can amplify the distaste we might feel for the (truly) amazing bodies we have. Respect, connection and trust in our bodies are often the very things that heal body shame and dissatisfaction, and can help put an end to the harmful cycle of dieting. Healing body shame and increasing connection with your body is actually more health supportive than focusing on weight loss when you are about to weather the changes that pregnancy (and parenthood) bring to your life. Conception is an exceptional event in our lives –unparalleled, magical, and tough to comprehend. We are in need of our whole selves when we move into that sweet transition. Attunement with our bodies keeps us in relationship with the trust, curiosity and faith in ourselves that we were born with. When we feel connected and worthy, we step into life’s challenges with more kindness and compassion for the journey. Focusing on weight loss prior to pregnancy may not produce the results you seek, and actually do more harm than good. When we heal our relationship with food, allow our bodies to move for pleasure, and minimize the stress in our lives, our bodies flourish. So what if, instead of focusing on weight loss, you kept your focus on health and self care? Ask yourself: “If you lived in a compassionate, weight-neutral world, what would you want to do for yourself and your health?” Then do that, just for you. Immerse yourself in reading about Health at Every Size® and offer your provider this letter. Remind yourself daily of the amazing ways your body is working for you right now. Build amazement and trust in that. Try this mantra on for size: May my love for my future child be mirrored in my love and respect for my body. Want to read more about this approach to weight and health? Why Does Healthy Eating Become Diet-y? Be Nourished was founded on the idea that we are all born with remarkable instincts to love and care for our bodies. We believe body trust is a birthright. Our passion is helping people lose the weight of body shame and create the change they seek from a deeper place. Be Nourished offers e-courses, groups, workshops and retreats to help people cultivate body trust. This is so informative. Thank you. Husband and I have been married going on 2 years. We are hoping to start TTC next summer. I’m currently overweight, and while I feel like I could absolutely do it, I feel pressure from friends and family (aka my mother) To wait and lose lots of weight before having a baby. The sad part is that the ONLY reason I feel like I want to lose weight is to have a pretty baby bump and to not just look huge and be judged, but just be cute and pregnant. It has nothing to do with my health and I am so sick of this body focused society and what it is doing to me that I could scream. GAH. This whole site is so encouraging as I prepare to enter this journey. I’m so happy you’ve found this site to be supportive! During your journey to motherhood, you’ll soon realize it’s impossible to live up to the expectation of others. Just do whatever you can and don’t beat yourself up in the process. Best wishes with TTC! !